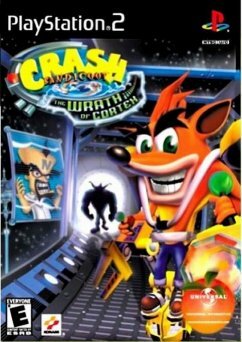 Reported to be the last instalment of our favourite Bandicoot, The Wrath of Cortex makes its way onto the PS2. Fans of the series should be delighted with the latest adventures of the PSone's mascot. Being a platforming game fan I must confess that I was a little surprised at this game. There seems to have been nothing new introduced to the game other than a minor graphical improvement for the PS2. However, when they have a perfect formula, why mess with it. Loading times are excessive and detract from the flow of the game which is honestly great fun. Once again we must help Crash vanquish Dr. Neo Cortex and his cronies before they can destroy him and the world! Cortex has developed the ultimate anti-Crash weapon, a super bandicoot called Crunch who will destroy all that is before him. 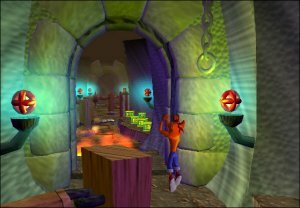 Crash Bandicoot: The Wrath of Cortex is a nice game to play and to say a fond farewell to the Crash Series on a Playstation deck. 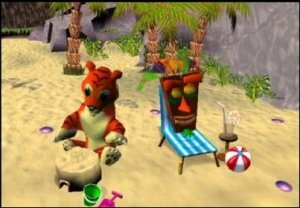 For those of you who are new to the series and enjoy this game, I would highly recommend Crash Bandicoot 3: Warped for PSone. 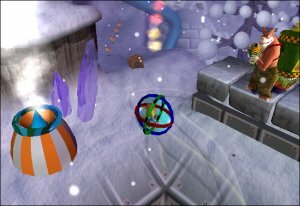 All the Crash titles are available in the Platinum Range.